Prior to becoming a DAT volunteer, she attended the chapter’s Real Heroes Breakfasts, and met several volunteers and staff members. “I was impressed with the Red Cross response to local disasters and wanted to personally support that beyond just monetary donations,” said Thode. As the Snohomish County DAT coordinator, Kelli’s job includes welcoming people interested in DAT and training them. She sets schedules, keeps track of the on-call teams, and responds to local disasters like home fires. She also tracks fellow DAT members’ training, staying up to date on all DAT procedures, and is frequently on call as an adviser. Kelli has even represented the DAT program at Chapter Leadership and Regional meetings. Kelli working to support shelter clients following the Lynnwood apartment fire. Kelli’s day job is working for Paul Davis Restoration (https://pauldavis.com), a company that provides professional residential and commercial emergency restoration services for disasters, and has been a long-time donor and supporter of the Snohomish County Red Cross. Kelli offers free emergency clothes cleaning so that disaster victims have some of their own clothing to wear within 24-48 hours of a disaster. After four years of volunteering, Kelli continues to enjoy her volunteer time, building the DAT function and interacting with fellow volunteers. 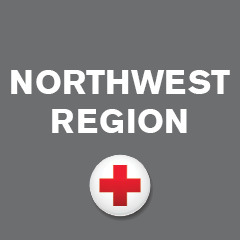 This summer she is on track to join the Board of the American Red Cross serving Snohomish County. “I hope to be a positive representative as a Red Cross volunteer by sharing my own experiences and encouraging others to get involved as well,” Kelli said. To reach Red Cross in an emergency, call 1-800-RED-CROSS or visit www.redcross.org.